Each year, the team at Hallway draws on the news and many insights gained over the past year to review the state of the UK’s craft beer market. Following on from our 2016 article, this 2017 report takes a look at the many influences affecting breweries, shops, retailers and distributors over the past 12 months. We’ve seen some very big players in the global beer market merge, while Brexit’s uncertainty has had significant effect on Big Beer in the UK, particularly within the Supermarket arena. However, Craft Beer has surged and the UK has now surpassed 1700 breweries, with the latest figures suggesting 107 exist in London alone. The number of new breweries opening in 2016 reached 520, a 55% increase on the previous year, indicating that craft brewing as an industry has firmly established itself, and is here to stay. Here's a broad look at the State of the UK Craft Beer Market in 2017. This growth and success has not gone unnoticed with the big boys of brewing continuing to penetrate the market with acquisitions and product launches of their own. British Regional Family brewers, such as Fuller’s, have also responded to the increasing interest in craft beer by rebranding and launching new brands to reach a younger, more craft-minded audience. 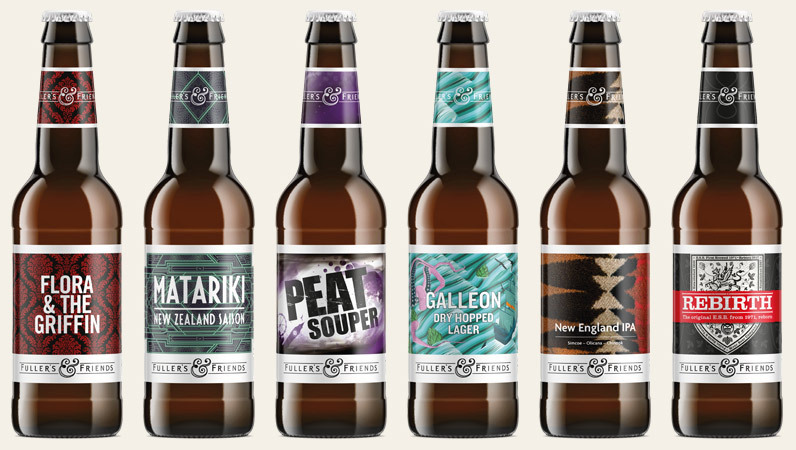 They've also directly collaborated with some of the UK's top craft brewers in their recent Fuller's & Friends range. The range included collaborations with Cloudwater, Fourpure, Hardknott, Thornbridge, Moor, and Marble breweries. Supermarkets like Tesco have responded to the growth by replacing half of Heineken’s mainstream beer brands with up to 30 craft beers, via James Clay, in their convenience store range. Tesco’s craft-beer retail intentions are reflected in their marketing push, where they are promoting 3 for £5 offers on some craft beers and trialling a cold beer delivery service. It is unclear what effect this will have on the smaller, independent shops who depend on the sales of craft beers, or the impact it will ultimately have on quality of beers or financial pressures on breweries. Craft Beer is now more competitive than it ever has been, marking the importance for brands to focus on their uniqueness in the marketplace. Differentiation is essential for success according to many of London’s most well-known brewers and thought-leaders who frequently remarked on the the importance of USPs in the Craftwork podcast series. Their advice to new entrants to the industry was also captured in the 2017 eBook: Lessons on Building a Business in the UK Craft Beer Industry. The dust may have settled on the turmoil that had struck Meantime Brewing Co, who were purchased by SABMiller in 2016- the superbrewer who themselves merged with AB Inbev to form a global conglomerate that controlled more than a third of the world’s beer. This subsequent merger forced SABMiller to offload some of its core European brands to Asahi, leaving Meantime lost in the middle after a divorce. AB Inbev, however, never looked back and in July/August of 2017 opened the doors of Camden Town’s new 200,000 hectolitres a year state-of-the-art brewery in Enfield. Along with AB Inbev, Carlsberg revealed their intentions of buying a UK craft brewery early on in 2017, and in July this was revealed as the third joint venture with Brooklyn Brewery, after E.C. Dahls and Nya Carneggiebryggeriet, with the purchase of London Fields Brewery. This particular purchase sent an initial shockwave around the craft brewing fraternity - but not in the same way that the Camden or Meantime buyouts had. This was more of a surprise simply because the LFB brand was so tarnished as a result of its owner’s disrepute. The reported £1m price tag did indicate a bargain, not necessarily for the brand, but more so for the 5,000ft² venue, and location of the brewery. Brooklyn have stated that the venue will be converted into a full brewing space, however, with the success of Brewery Taps such as Beavertown’s, and Brooklyn’s own Beer Mansion events, it is fair to speculate that this could become a very important venue for the US Brewery. 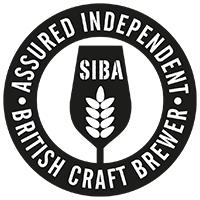 SIBA's Assured Independent British Craft Brewer logo will adorn beers approved by the scheme. From a consumer perspective, there has never been a better time to be a craft beer drinker. The choice of craft beers is increasing, as are the places that serve and sell it. In the long-term, however, the race to decrease and discount prices of beer could spell long-term troubles for an industry that has emerged on the premise of quality above all. Social media and the digital craft beer world is growing in influence as more consumers seek beer brands online and share their preferences with others in their online communities – in addition to the traditional word-of-mouth recommendations shared amongst local communities. The 2017 Craft Beer Consumer Survey conducted by Hallway found that nearly half of all Craft Beer drinkers searched Google to find a bar or pub that stocked a specific craft beer. Almost a quarter would refer to a breweries website and 15% would look on social media. Almost half of respondents have shared a picture of the craft beer they are drinking on social media, SMS text, Messenger or Whatsapp. According to SIBA’s YouGov report, half of beer drinkers were now drinking ‘local craft beer’, rising to 61% for 25-34 year olds. When you cross-reference that with the Office for National Statistics report stating that 99% of 16-34s have recently used the internet, it is clear that online marketing is a crucial channel for breweries to build their brands through. 1 in 4 want craft breweries to sell beer online directly. 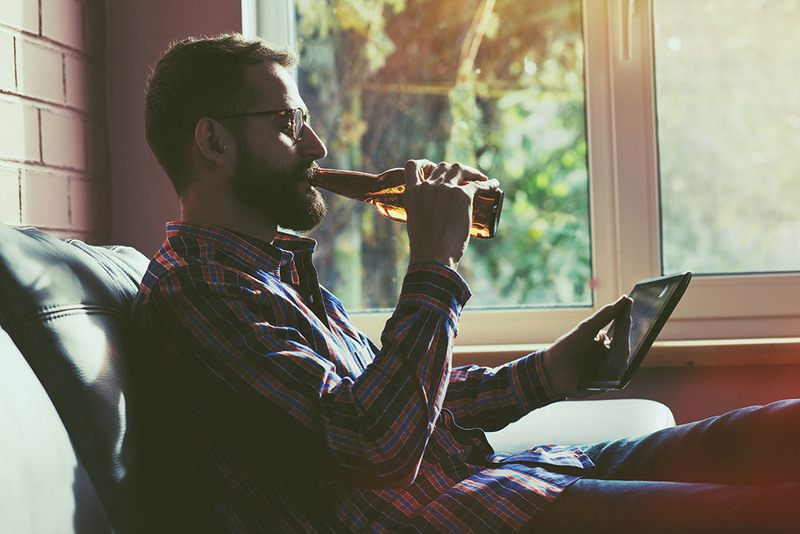 In the UK 83% of the population have made an online purchase this year, indicating a significant opportunity for brewers to increase revenue, brand loyalty and relevance through eCommerce. The continued growth of the craft sector has had a significant effect on the Pub sector which, with the aid of The Campaign for Real Ale’s (CAMRA) effort, has seen pub closures slow from 29 to 21 a week across the UK. Although this is still not a flattering figure, those pubs that have listened to the drinkers and adapted to the change in consumer preferences, have bucked this trend. Two great examples are Craft Beer Co. and Draft House, both of whom have seen beer sales soar, resulting in the need for fast-track expansion plans to keep up with demand at their craft specific venues. As long term CAMRA campaigner, and London Brewers’ Alliance secretary, John Cryne emphasised, the onus is on the publicans and pub companies to ensure that they stay relevant with a market that is changing rapidly. 25% of respondents to SIBA’s annual membership survey indicated that they have a taproom, and reported that this was an important revenue stream for them. The rise in popularity of taprooms has resulted in numerous breweries opting to open their own sites, giving them control over quality while delivering the freshest beer at lower prices for consumers. On the UK Beer festival scene, Craft Beer Rising recorded their highest ever number of exhibitors, and record attendance at their 2017 event. Beavertown’s inaugural Extravaganza displayed how far craft beer had come, with 8000 drinkers flocking to the Printworks in London to enjoy 71 different breweries’ beers. Tickets had sold out 5 months in advance. 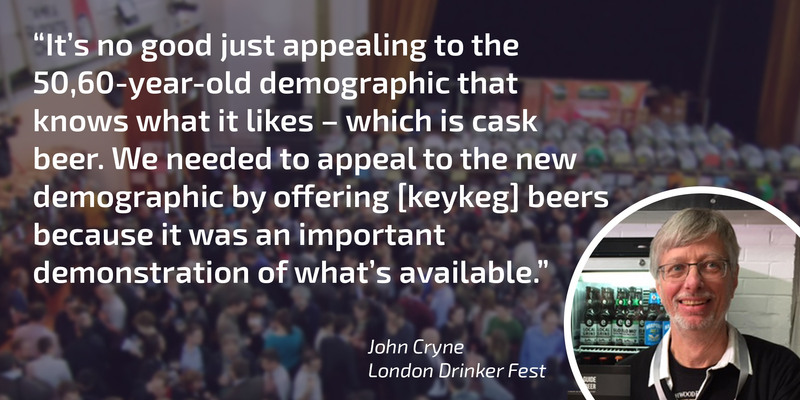 London Drinker festival, a CAMRA beer festival, angered some of the organisation's more traditional members by including key-kegged beer for the first time in its 33-year history. They also ruffled a few feathers by being the first festival to only feature London brewers. The increasing popularity of beer festivals doesn’t guarantee a place for all exhibitors, however. As competition grows, event organisers are faced with the challenge of who to allow to exhibit in the limited space. Organisers need the crowd-pullers, which can make it difficult for new businesses to find a way in. That said, digital is again enabling newbies and smaller breweries to demonstrate popularity and demand to the organisers through their social following. The success and growth of the direct brewing sector has had a knock-on effect for the wider industry too. The subscription service sector has seen large growth, with the likes of Beer52, Honest Brew and Beer Bods taking big steps in their business growth. Niche operators like Craft Metropolis, who specialise on London breweries, are also seeing a rise in uptake. New entrants, such as Hoppily, have found the market to be in high demand and are content with their start. Deliveroo and UberEats have also added craft beer to their offerings, indicating that the demand for home delivery goes beyond the online retailers. In November, online retailer, subscription service and wholesaler, Honest Brew announced the launch of their craft brewery investment fund, which will allocate £50,000 a year to provide interest free loans to independent breweries in the UK, allowing them to grow and payback the loans through beer available to Honest Brew’s customers. Cornwall’s Verdant Brewing has been earmarked as the first beneficiary of this fund. The wholesale and distribution markets have also seen significant investment and diversification. Online trade and consumer market portal, Eebria, raised over £700k in a crowdfunding round in May. A new player entering the same market, SpareTap, are set to launch late 2017. Along with portal style distributors, there has been a sharp rise in the number of craft beer specific traditional distributors (ie. with their own warehousing and delivery fleets) across the country. Despite the interest in imported beers, the growth of UK craft breweries has continued. Significant investments have been made in all corners of the union - the most newsworthy of which has been Brewdog’s US expansion, as well as their announcement to build a brewery in Australia. The self-proclaimed “Punk” brewery faced global backlash from its most ardent fans as they sold a 22% stake to investment bankers, TSG Consumer Partners, which valued the company at £1bn. Other notable growers and investors include Fourpure, Moor Beer and Hop Stuff. Fourpure announced they would be making a £2m investment toward increasing their brewing capacity by 300%, as well as further developing other aspects of the business. Moor Beer grew by 73% in the 12 months up to July 2017, with production up 54%. Hop Stuff completed their second round of crowdfunding, and have subsequently begun construction on their second brewing site, as well as extending their successful Tap Room venue to second and third sites. 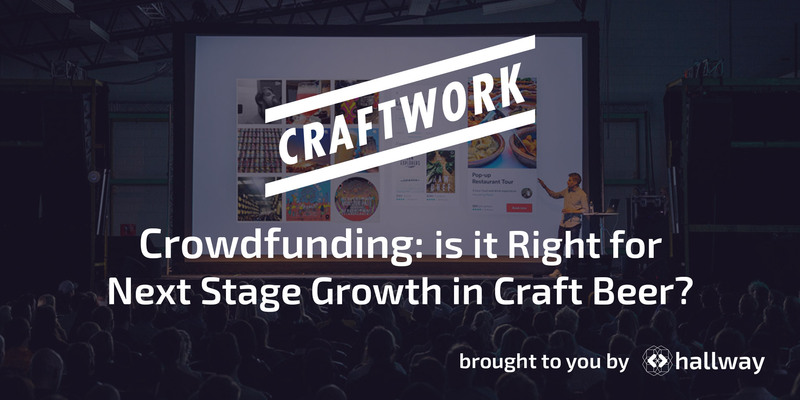 Don't miss out on our upcoming event, "Crowdfunding: Is it Right for Next Stage Growth in Craft Beer?" Martin Cornell’s report on Crowdfunding and Breweries outlines some of the secrets to success, of which pre-launch marketing is one. Speaking to Cornell, Derby Brewing’s director Paul Harris said, “We had marketed the offer initially to our own crowd, to our followers on social media.” Derby put a considerable effort into their marketing pre-launch, making sure that when their offer went live they had enough interest to hit their target quickly, which acted as more social proof that they were worth investing in. Without that marketing effort, all indications are that they would have failed to raise the money required to continue operation. 2017 has seen a rise in global beer brands identifying the UK as a key international market. Australia’s fastest growing brewery, Pirate Life, have made significant moves into the UK, establishing Pirate Life EU, and hoping to use the UK as a base for EU distribution (another Brexit influenced deal). Recent news of AB-Inbev’s acquisition of the Adelaide brewers is still being digested, and will no doubt have an effect on their UK ambitions. Pirate Life compatriots, the Lion-owned Little Creatures, have also decided to take another stab at the UK market. Yeastie Boys, also from the Southern Hemisphere, were dealt a massive blow when Brewdog decided to cease contract brewing of their beers. They have since launched another crowdfunding round to “enable further resources and expansion in working capital” for the UK market. West Berkshire Brewery’s significant investment into new production facilities means that they have the spare capacity and have agreed to brew for Yeastie Boys. In early 2017, South Africa’s highest rated brewery, Devil’s Peak Brewing Company, took the decision to discontinue negotiations for a distribution deal with Charles Wells, just months prior to the Marston’s acquisition of Charles Wells’ brewing operations. Devil’s Peak decided, instead, to collaborate with Scotland's Fierce Beer and relaunch with a UK-specific range. Devil's Peak's second attempt at the UK market has seen a series of high profile collaborations. Scandinavian imports have made strides into the UK with Toøl, Lervig and Mikkeller, to name a few, establishing distribution across Britain. Not to mention Swedish gypsy-brewer Omnipollo’s collaboration series with Buxton. From the US, Founders have benefitted from Marston’s spending spree, increasing distribution as a result, with Stone Brewing launching their Berlin brewery, which allowed them to significantly drop the costs of exporting to the UK. This focus on US imports has become indicative of the market trends, with the UK now sitting second only to Canada as the biggest importer of US craft beer, surpassing Sweden and Australia to account for 10.1% of all exports. With the current sociopolitical climate and inevitable Brexit looming, a trade deal with the US could mean that this figure rises over the next year. However, as European imports still command a significant share in the UK market and the details of the EU divorce are still unclear, prediction is mere speculation at this time. Much of the increase in US beer sales in the UK could be attributed to the distribution of craft beer throughout supermarket chains, as we debated on BBC Radio 4’s consumer programme, which discussed Tesco’s foray into craft beer back in March, 2017. Listen here. Overall the UK Craft Beer market has seen incredible growth and interest in 2017 so far, and doesn’t look like slowing down anytime soon. The increased competition locally and internationally, however, means that breweries need, more than ever, to stand out from the rest. Those businesses with ambitions to grow will need to be clear on how they are going to increase loyalty, awareness, distribution and growth whilst maintaining quality and consistency, striking the balance of focus between production, sales and marketing. A look across the media and job boards in 2017 shows that businesses in the craft beer industry are becoming more creative in their approach to growth strategy and more open to expanding their internal sales and marketing abilities. Whilst they continue to employ sales reps, many are also investing in marketing professionals internally and externally. And while the UK’s craft beer sector is still working out how to mobilise and increase its market share, big brewers with greater resources are continually driving into the space: AB-Inbev via their ZX Ventures division, and Heineken with their recent acquisitions are just two examples. With a lack of equal resources, craft beer businesses need to work together, to use savvy techniques and strategies in order to get on more bars and shelves. If you’re interested in learning more about the UK Craft Beer Industry from peers and experts, why not join Craftwork Growth Club? Craftwork Growth Club brings together the UK’s most passionate and ambitious craft beer businesses to share ideas, insights and expertise on how to succeed in the UK Craft Beer Scene, from startup to regional & international expansion. With a focus on business growth, positioning, sales, brand awareness and marketing, Craftwork gives members exclusive access to inspirational speakers, fascinating interviews, evening events, refreshing advice, invaluable information and great beer, of course.